Samsung Galaxy A5 (2017) feature a 5.2-inch (1920×1080 pixels) Full HD Super AMOLED display powered by a 1.87GHz Octa-Core Exynos 7880 processor with Mali-T830 GPU. Galaxy A5 (2017) has a 3GB RAM and 32GB of internal storage. On camera, it comes with a 16MP rear camera with LED flash F/1.9 aperture and 16MP front facing camera. The device runs on Android Marshmallow and supports USB Type -C, IP68 Water resistant body Packed with a 3000mAh battery. 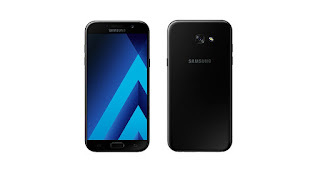 Samsung Galaxy A7 (2017) feature a 5.7-inch (1920×1080 pixels) Full HD Super AMOLED display powered by a 1.87GHz Octa-Core processor Galaxy A7 (2017) has a 3GB RAM and 32GB of internal storage. On camera, it comes with a 16MP rear camera with LED flash F/1.9 aperture and 16MP front facing camera. The device runs on Android Marshmallow and supports USB Type -C, IP68 Water resistant body Packed with a 3600mAh battery. 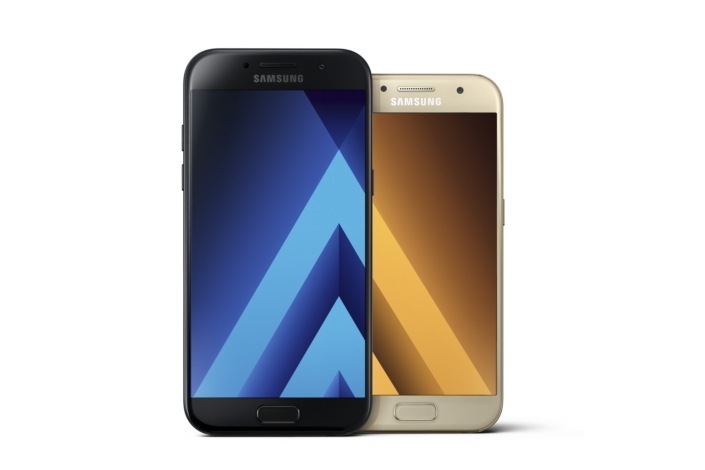 Samsung Galaxy A5 and A7 2017 will be available from March 15 in India. Galaxy A5 is priced at Rs 28,990 and GalaxyA7 is priced at Rs 33,490.